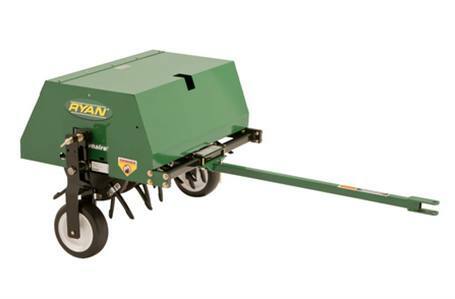 This versatile pull-behind aerator is ideal for any mid-sized turf area of one to five acres. 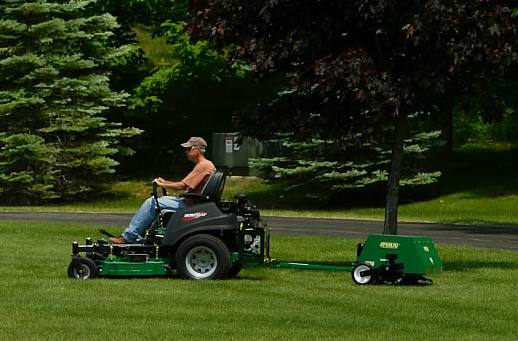 With a 36-inch swath, the Lawnaire Tow-Behind can aerate one and a half to two acres per hour, quickly and effortlessly. Lifting and lowering the tines is also easy with manual, hydraulic and electric lift options. 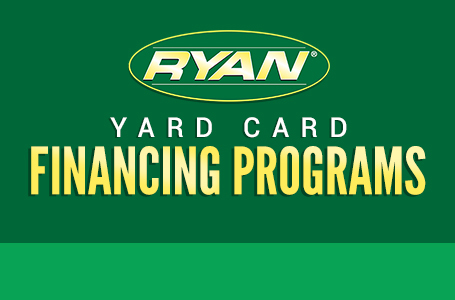 Choose from coring, spooning or slicing tines for customized aeration according to your needs. All tines aerate to a depth of four inches and are constructed of austemper-hardened steel. For added durability and reduced maintenance, this rugged machine has cast iron tine wheels with sintered bushings and lubrication fittings. The independently mounted tine wheels allow turning while the tines are in the ground, setting a new standard in efficiency.